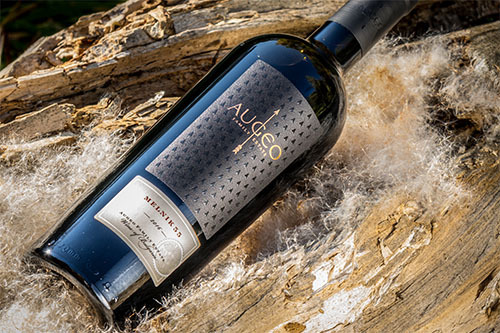 Augeo Family Estate is a wine project, founded in 2016 by Stoyan Manolov and Gergana Manolova, ‎a father-daughter duo, continuing the tradition of their ancestors. The Manolovi family is connected with wine for over five generations. When Stoyan started working in the winemaking industry in 1897, it is doubtful that he could imagine that his successors would continue the tradition in winemaking for generations. The craftsmanship of winemaking was passed down from one generation to the next. Grandfather Georgi comes from a family of farmers, and his name means agrarian, with roots coming from the Greek words of geo (land), and ergo (work). His wife of over 56 years Maria, also has relatives, who produced wine for their family and friends for years. Georgi’s son Stoyan, was named after his grandfather who was the first winemaker in the family. For over 25 years Stoyan is competing with his father. They split the harvested grapes in half each year and each of them makes wine in their own way. After the wine is ready, they meet to taste and compare it. When in 2015 Georgi admitted that his son’s wine was better, Stoyan received the highest possible appraisal – from his father. That is when he decided that he needs to share his exquisite wine with the world. This is when the dream of owning a winery and a wine brand was born. His daughter Gergana, wine enthusiast and marketing specialist, started developing it. That is exactly 120 years after her great-great-grandfather Stoyan first started producing wine. 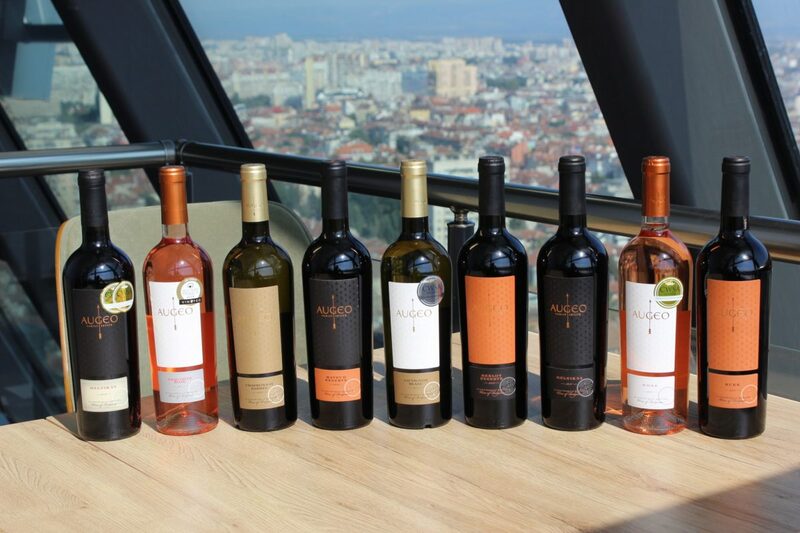 From Latin augeo means to ‎grow, to develop and to honor, and relates to the history of the family of the founders. The own vineyards are in Vranya village, 12 km away from Melnik, in Struma Valley, and ‎are 21 decares, planted with 40 year old vines from the varieties Shiroka Melnishka, Melnik 55, ‎Ruen and Cabernet Sauvignon. 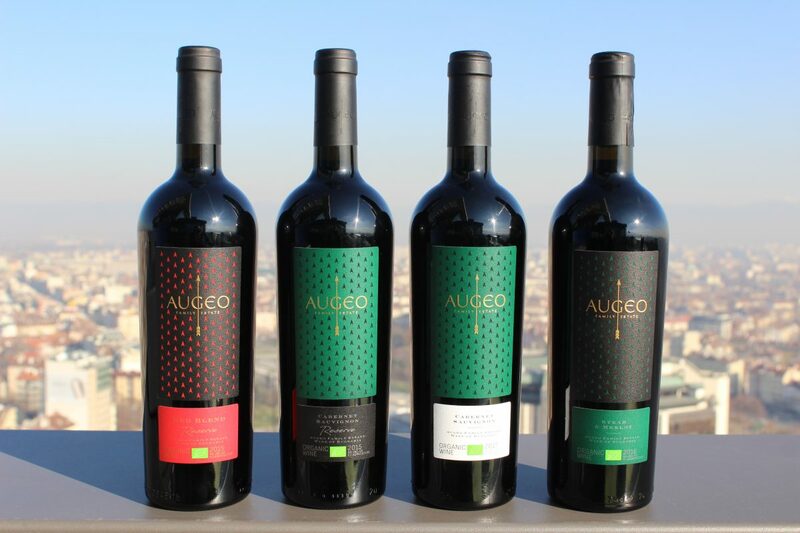 The wines under the brand Augeo Family Estate are produced in ‎limited batches, with a focus on the local varieties, which are awarded in many competitions on three continents. The dream for an own wine brand is born. Grapes-picking of the first vintage. A good year for grape-growing. Our first wine Augeo Melnik 55 is in the process of making. 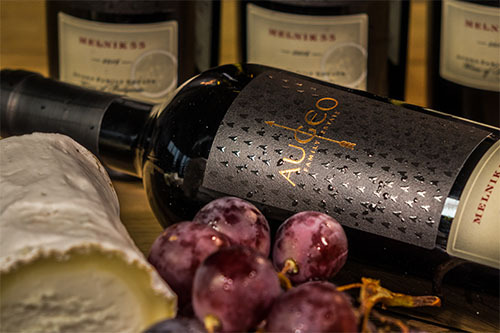 Augeo Melnik 2016 wins a double gold medal from CWSA China, and in April Augeo Sauvignon Blanc, Augeo Chardonnay, Augeo Rose and Augeo Exquisite Rose are added to the portfolio. Augeo Family Estate Exquisite Rose 2017 won a Gold medal on Sélections Mondiales des Vins Canada in June. 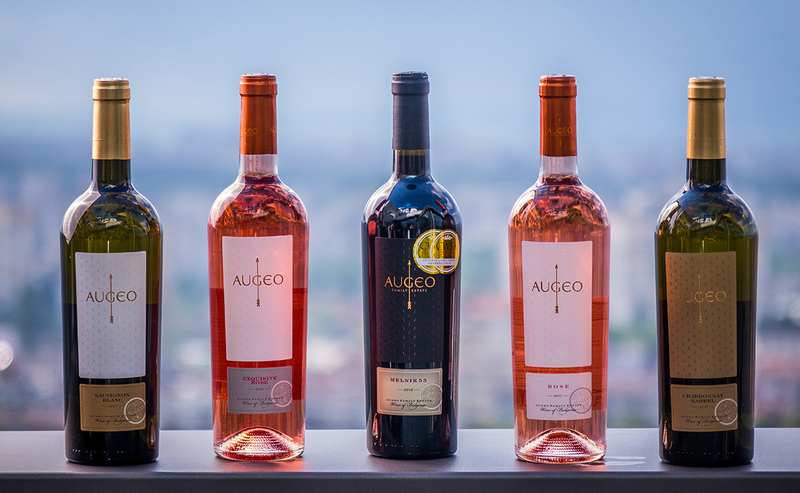 In August, Augeo Rose 2017 won a gold medal and Augeo Sauvignon Blanc 2017 conquered a silver medal at China Wine and Spirits Awards ‎‎2018.  Augeo Family Estate Chardonnay Barrel 2016 won Seal of Approval – bronze medal for at AWC International Wine Challenge in Vienna. Now all of Augeo Family Estate’s wines are medalists! The Augeo brand expands further. 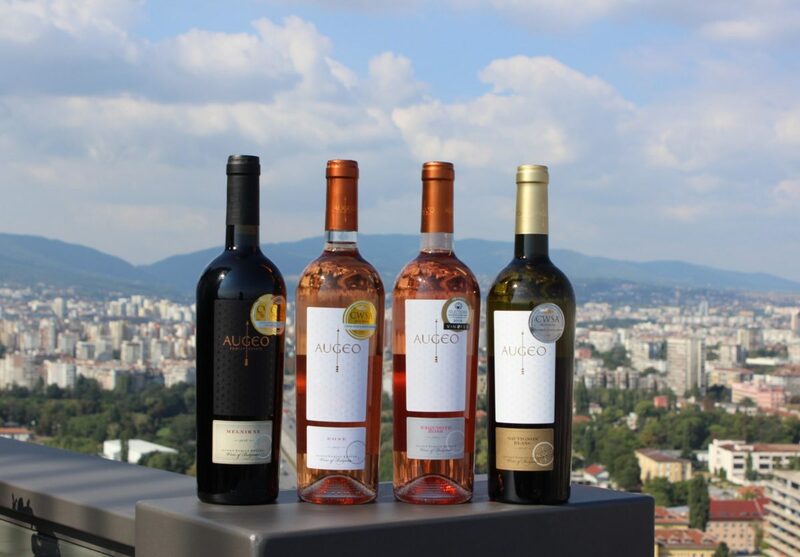 In October 2018 we revealed the new Augeo Ruen 2017, Augeo Mavrud Reserve 2016 and Augeo Merlo Reserve 2016, as well as the new vintage of Augeo Melnik 55 2017. Both red wines from the 2017 vintage received medals at IWC 2019 in England. Augeo Melnik 55 2017 won a bronze medal with 86 points, and Augeo Ruen 2017 received a Commended Winner medal. 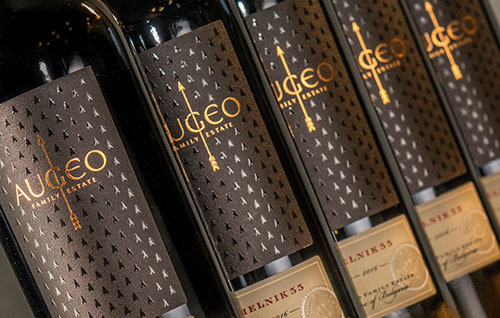 In the beginning of 2019 four new bio red wines made their debut – Augeo Red Blend Reserve 2015, Augeo Cabernet Sauvignon Reserve 2015, Augeo Cabernet Sauvignon 2017 and Augeo Syrah & Merlot 2016. 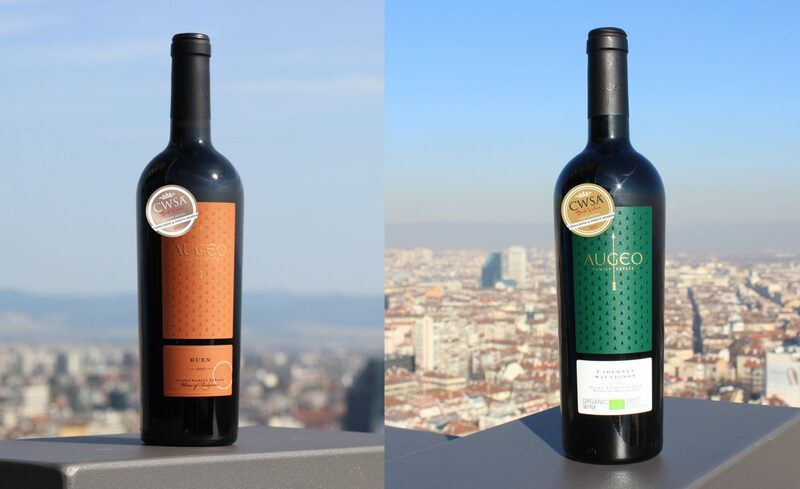 Two of Augeo Family Estate’s wines won medals at China Wine and Spirits Awards ‎Best Value 2019 in China. 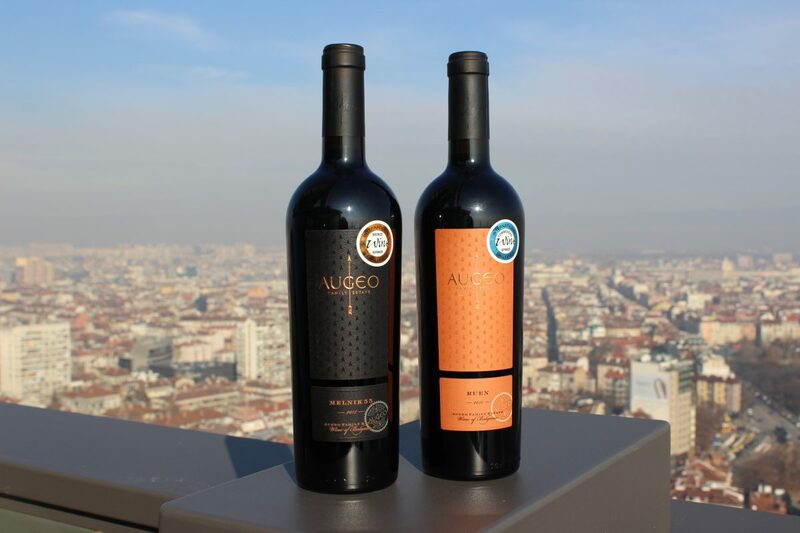 With its gold medal Augeo Family Estate Cabernet Sauvignon 2017 is the only Bulgarian bio wine awarded in this edition of the competition, and with bronze Augeo Family Estate Ruen 2017 is the only awarded wine from a unique grape variety for the country. 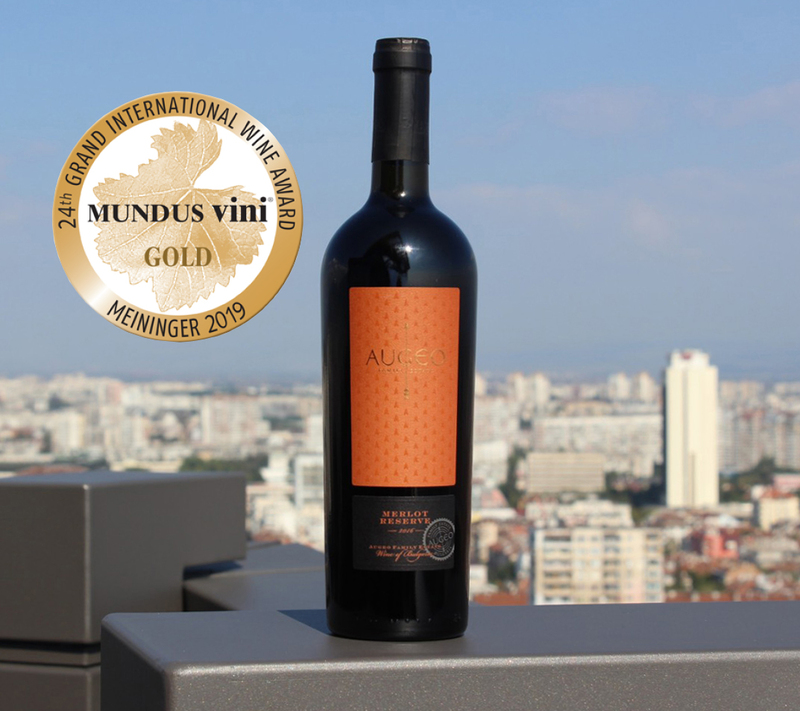 Augeo Family Estate Merlot Reserve 2016 is a gold medalist from the prestigious German competition Mundus Vini! This is yet another reason for pride and proof of the high quality of Augeo's wines.